1. 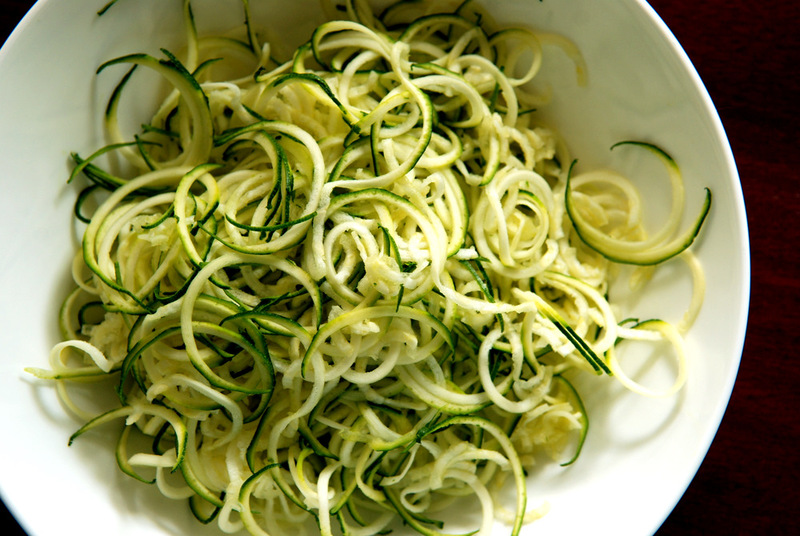 Spiralize your zucchinis and set aside. 2. Combine the remaining ingredients in a large bowl and mix well. 3. Toss the sauce with the noodles. Enjoy! Looks awesome and just the thing to “cook” during a heat wave! Wow, Saveur!! What a beautiful dish! 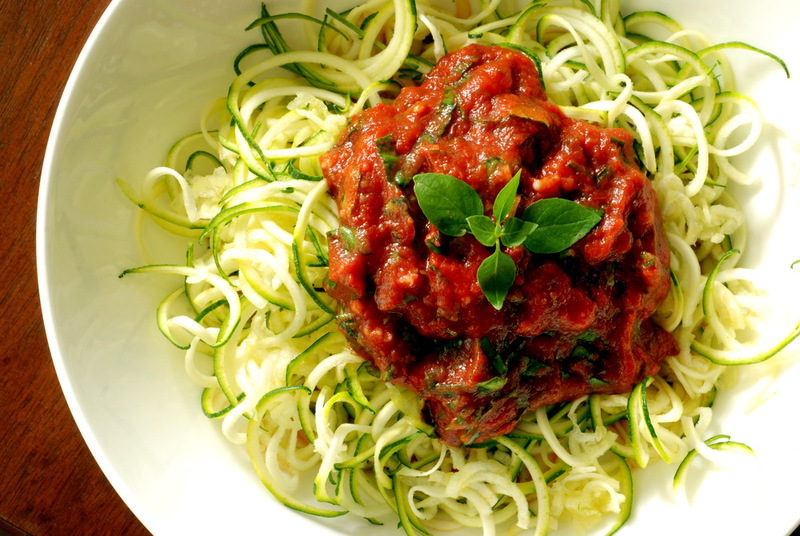 Would you recommend your spiralizer? 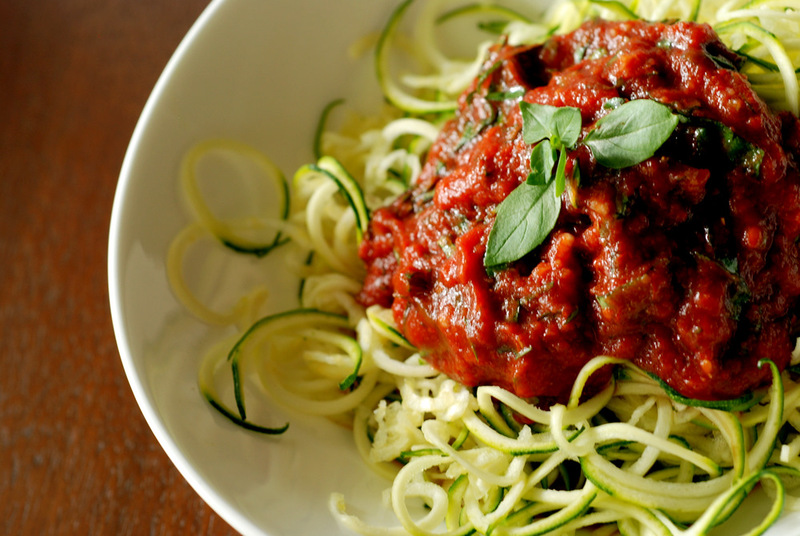 I think I’m going to have to visit your place for some spiralizer fun! I also don’t blame you for turning on the oven. Sometimes, it’s just totally necessary. This is so cool! I’m totally intrigued. I was stunned when I saw this. It is so clever and obviously so tasty, never mind how good it is for you. I wonder if my food processor has an attatchment I could use. I got a spiral slicer for Christmas and was kind of intimidated by it and had yet to use it, telling myself I was waiting for summer produce. When I came across this recipe you inspired me to face the spiral slicer and I’m so glad I did! My zucchini noodles were so much like angelhair pasta and the balsamic and garlic tang of your super fast sauce was delicious. 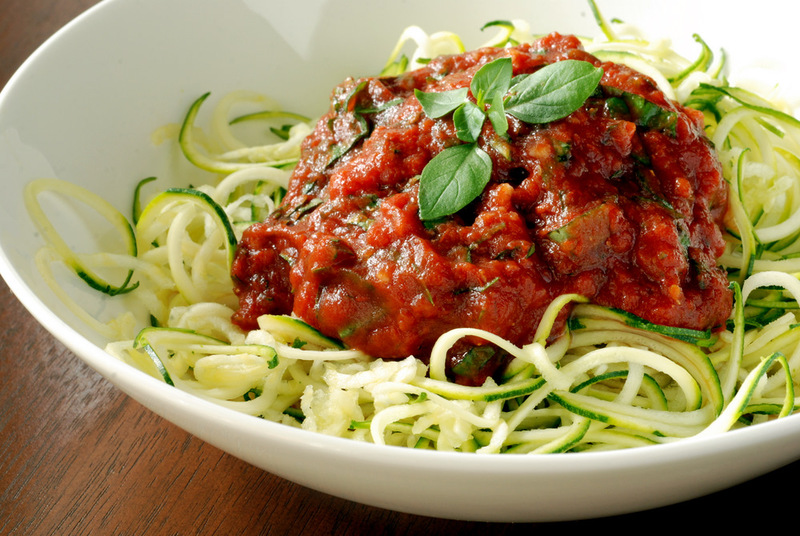 I had another plate of zucchini noodles with Robin Robertson’s Lemon-Cannelini Sauce (http://www.onegreenplanet.org/vegan-food/recipe-roasted-vegetables-with-lemon-cannelini-sauce/) with fresh herbs and sundried tomatoes. Excellent! Just out of curiousity could this recipe be cooked? pLease send details. I like it raw too. Just want to see if my toddlers will eat it cooked.